Cut-throat promotions have devalued FMCG brands across Europe but brands that have purpose and "stand for something" can inject value into a business, according to Jan Zijderveld, president Europe Unilever. Speaking at the IGD Big Debate in London today, Zijderveld said that brands with "purpose" at the heart of their message were growing at twice the rate of other brands across Unilever's portfolio. Across Europe, he said, macro economic pressures and resulting price promotions had "eaten away at brand value" but that business could achieve double-digit growth by marketing around a sense of purpose and driving trust. "Consumers want brands that stand for something," he said. "Ben & Jerry's and Dove are examples - what we find is when we do this with our brands they grow twice as fast as those who don't have sustainability at the heart... That's where the juice is, the pockets of growth... Consumers want brands to be more responsible." Consumers were, he said, increasingly discerning and looking for brands sold not just at the right price and quality but with the right heritage and sustainability messaging. The FMCG market was also becoming "bipolar" with opportunities for cheaper as well as super premium products emerging. He gave the example of consumers queueing for up to an hour for the Magnum 'dipping bar', which aimed to premuimise the brand. 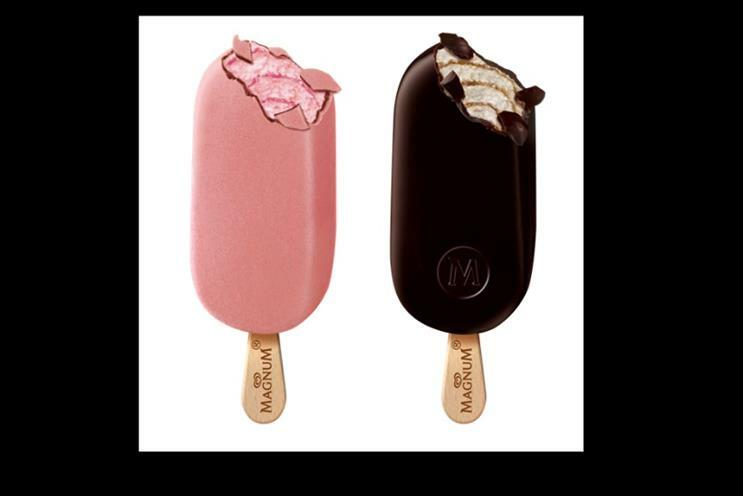 The activation, at London locations including Selfridges, enabled consumers to dip Magnum into a variety of toppings. Brands needed to go back to basics and "scale" these ideas. "We have to build brands in new ways again. People are queuing for one hour to dip a Magnum in hot chocolate and share it on Facebook, millions have seen this - it's a phenomenal way to create value." Brands in industry need to tap into this opportunity and collaborate to the recreate the store of the future and reinvent the shopper experience, he added.